Delight your guests with a party they’ll never forget! I Made It! is proud to offer the following Party Packages for both kids and adults. If you have any questions about customizing your experience or personal touches that we can provide you with, please call 415.785.7640 or email fun@imadeitglass.com and let the I Made It! Team help you choose the perfect party projects. I Made It! Glass Creations fused glass offers fun, creative art parties and birthday parties where kids can learn to make beautiful glass art. Your birthday child and his/her friends will have a blast creating one of a kind glass fusion treasures! 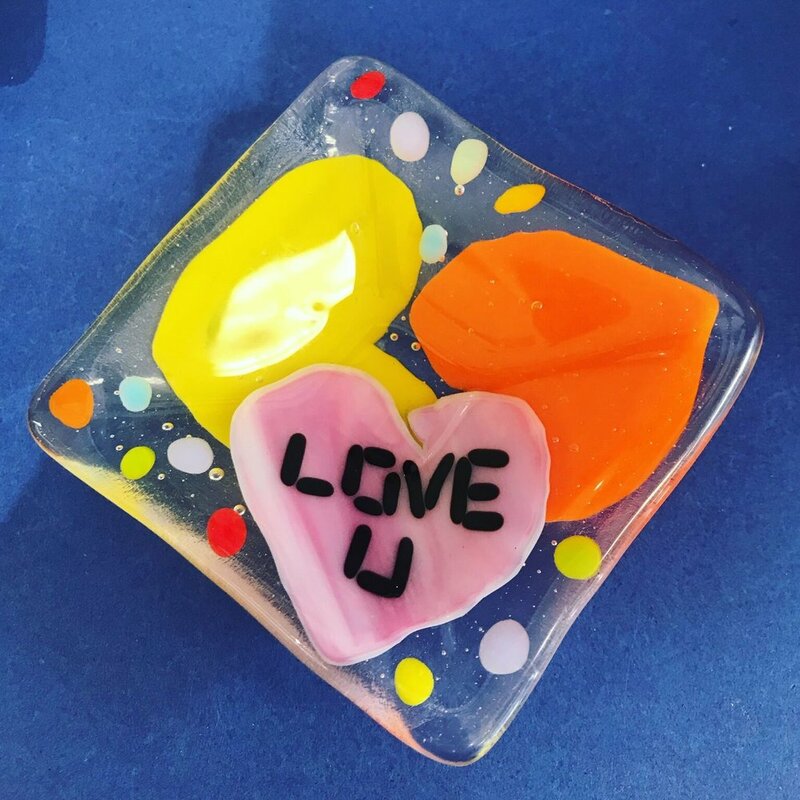 Our knowledgeable staff will assist your group in the safe and fun use of fused glass and assist you in helping to make your child’s birthday party a wonderful success. Our festive art party room, which holds up to 14 children is yours for 90 minutes, which is the perfect amount of time to make a fused glass project, enjoy and food and cake (which you are welcome to bring at no additional cost) and open presents. If your group is larger than 14, we have space just outside of the party room to accommodate up to 25. If your party is larger than 25, we can come to you or to enjoy use of the entire studio, please contact us and we will work with you to have your vision come to life. If you would care to have every detail of a fabulous kids party professionally attended to, please contact our partner Parties on Point SF for the turnkey event of your dreams. Each kiddo will choose their own unique suncatcher shape and colored glass to decorate their one of a kind fused glass creation. Their creation will add color and fun to any window! A handmade glass small dish is so fun to make! Pick black, white or clear base glass and use your imagination to make it one of a kind! Book a Small Dish Party! Pick from a black, white or clear background and decorate using endless shapes and colors of fusible glass. Treasure boxes are so handy and a forever keepsake! Book a Treasure Box Party! I Made It! Glass Creations offers exciting, creative art parties where adults can learn to make beautiful glass art. Whether you decide to have your event in our festively decorated party room, or at a location of your choice, each attendee will create a one of a kind glass art project that is then put in a kiln and heated to nearly 1500 degrees, melting the glass colors together to a beautiful artwork. A dedicated staff member will instruct and inspire your group in the use of fused glass, and help you to make the party a wonderful success. The room is yours for 90 minutes, which is the perfect amount of time to make a project and enjoy libations and munchies, which you are welcome to bring. Your projects will then be ready for pick up 5 days from creation. If you are interested in a fully turn-key party experience, with all aspects of a grand event being attended to with style and professionalism, Parties on Point of San Francisco in collaboration with I Made It! Glass Creations will make you vision come to life! In our studio or at your venue of choice, everyone will have a great time and be amazed at their fused glass creation, so be prepared to hear with a smile… I Made It! 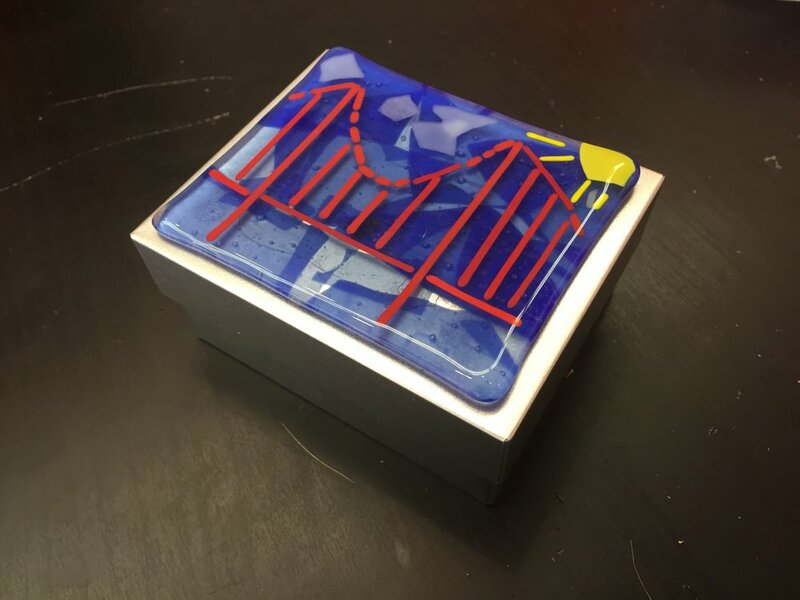 If you have any questions about customizations or personal touches that we can provide you with, please call 415.785.7640 or email fun@imadeitglass.com and let the I Made It! Team help you choose the perfect party projects.